The U.S. is a global leader in innovation– but how does the next big idea become a reality? It’s our government researchers – the ones with the funding– who look to the creative industries for these brilliant ideas and figure out how to make them a reality. This panel will introduce the creative industries that imagine the impossible, the program managers that make them a reality and the policy makers who integrate these technologies into our everyday lives. Get an insight into each of their worlds and learn how to connect with project managers and national security advisors who are looking for YOUR ideas. Could you create the next GPS? Internet? Drone? 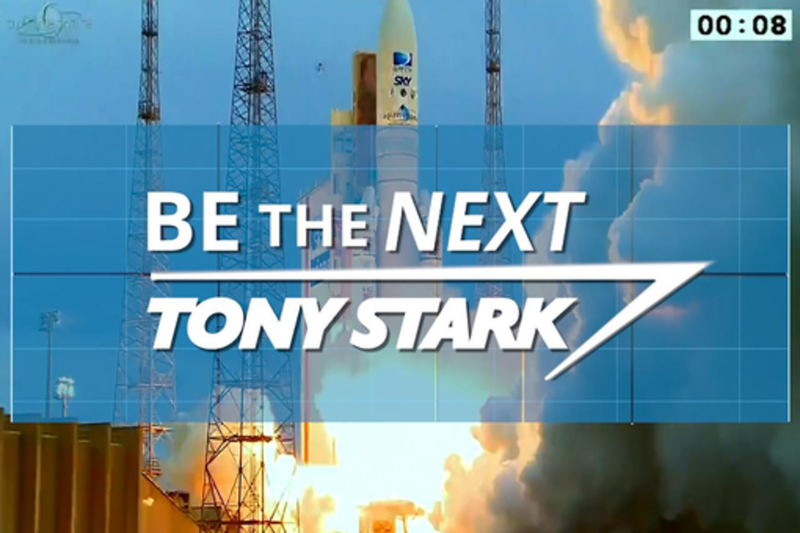 Are you the next Tony Stark? Dr. Patt is a program manager in the DARPA Tactical Technology Office. His research interests include system architectures, system autonomy, human-machine interface and teaming, robotics, platform design and aircraft systems technology. As a program manager, Dr. Patt oversees the lifecycle of DARPA programs from concept initiation, business case development, feasibility determination, identification of performers, program monitoring and management, and sourcing of follow-on investment. Prior to joining DARPA, Dr. Patt held a senior leadership position at a small aerospace research and development firm specializing in autonomy and the rapid prototyping of complete air vehicle systems. Dr. Patt has previously worked at Fortune 50 research and development firms developing advanced unmanned systems and has also worked in the automotive industry. He has engineering experience in robotics, air vehicle flight testing, dynamics analysis, adaptive control, learning systems, systems integration, human interface, and health monitoring. Dr. Patt holds a Doctor of Philosophy degree in aerospace engineering from the University of Michigan, Ann Arbor. Dr. Reginald Brothers was confirmed by the U.S. Senate on April 7, 2014, for the position of Under Secretary for Science and Technology at the U.S. Department of Homeland Security (DHS). As Under Secretary for Science and Technology, Dr. Brothers is the science adviser to the Secretary and Deputy Secretary of Homeland Security and is responsible for oversight and management of the Science and Technology Directorate (S&T), the Department’s primary research and development arm and technical core. Through his leadership of S&T, Dr. Brothers is responsible for a science and technology portfolio that includes basic and applied research, development, demonstration, testing, and evaluation with the purpose of helping DHS operational elements and the Nation’s first responders achieve their missions in the most effective, most efficient, and safest manner possible. From December 2011 until April 2014, Dr. Brothers served in the U.S. Department of Defense’s Office of the Assistant Secretary of Defense for Research and Engineering as the Deputy Assistant Secretary of Defense for Research. In this position, he was responsible for policy and oversight of the Department’s science and technology programs from basic research through advanced technology development. Dr. Brothers was also responsible for the Department’s laboratories and, as architect of the long-term strategic direction of the Department’s science and technology programs, oversaw scientific advancements necessary for the continued technological superiority of U.S. Armed Forces. Dr. Brothers is a science and technology leader and expert with more than 20 years of demonstrated success across the private and public sectors. He has held a variety of positions within the scientific and technological community that demonstrate his leadership and technical aptitude. This includes his prior service as a Technical Fellow and Director for Mission Applications in the Communications and Networking Business Area at BAE Systems, as a member of the Board on Army Science and Technology within the National Academy of Sciences, and as a Program Manager for the Defense Advanced Research Projects Agency. This also includes his experience as a Group Leader at the Charles Stark Draper Laboratory and as Chief Architect at Envoy Networks, a successful 3G wireless start-up company. Dr. Brothers received a B.S. in Electrical Engineering from Tufts University, an M.S. in Electrical Engineering from Southern Methodist University, and a Ph.D. in Electrical Engineering and Computer Science from the Massachusetts Institute of Technology. As COO of RL Leaders, Kearie Peak is in charge of daily operations, with a focus on finding avenues through which experts in the entertainment, technology, and security industries can connect and work in tandem. By connecting government and security officials with entertainment technologies, creative people, and ideas, RL Leaders aims to challenge, disrupt, energize, and enhance their thinking, training, and operations in order to create solutions that transform the world into a safer place. Peak is a widely respected film and TV producer with extensive experience in both the studio and independent entertainment industry. Prior to joining RLL, she served as Co-CEO and Head of Production for Solar Pictures, overseeing development and production activities for the fledgling studio. From 2003–2012, Peak partnered with Dean Devlin in Electric Entertainment and was credited in taking the company from a studio-based production entity to an independent mini-studio with its own in-house post-production facility. Peak’s credits with Electric include co-producing the Tony Bill-directed 'Flyboys'; co-executive producing the Martin Sheen-narrated documentary 'Who Killed The Electric Car? '; executive producing 4 seasons of TNT’s 'Leverage'; TNT’s Noah Wyle-starring original movie franchise 'The Librarian'; and Sci Fi Channel’s 'The Triangle', which won an Emmy for VFX and was the highest-rated miniseries on Sci Fi since 'Steven Spielberg Presents Taken'. Before joining Electric, Peak established K2 Productions to finance and develop films internationally. She produced and consulted on international co-productions and actively collaborated with numerous production companies, producers and entities worldwide. Prior to forming K2, Peak served as president of The Steve Tisch Company. She played a pivotal role in developing and producing 'Wild America' and 'Dear God'; and she executive produced 'American History X', for which Edward Norton earned a Best Actor Oscar nomination.